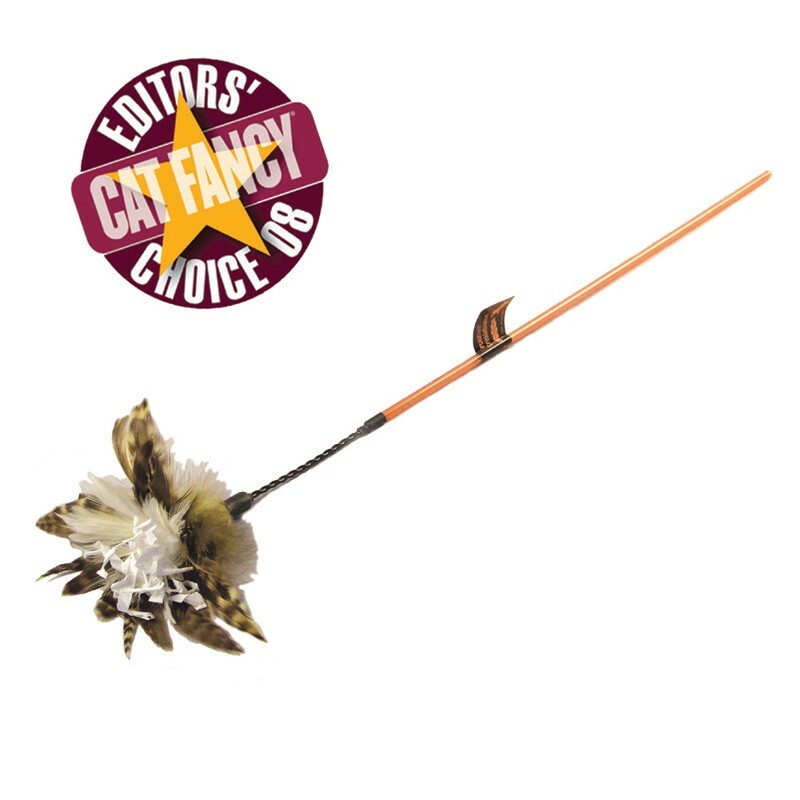 This interactive cat toy comes attached to an 18" see-thru colored flex wand with 5" flex cable and uniquely textured tassel. The "crunchy" portion is made with tear-resistant plastic. When they grab and chew on it, it makes a crunching sound that cats find irresistible. Around the "crunchy" tassels are a generous plume of fluffy natural brown feathers. This combination of textures can be waved and wiggled -- enticing your cats to jump, swat, and chase -- all with you directing the fun! Recipient of Cat Fancy Magazine's Editors' Choice Award - 2008 Product of the Year!! !